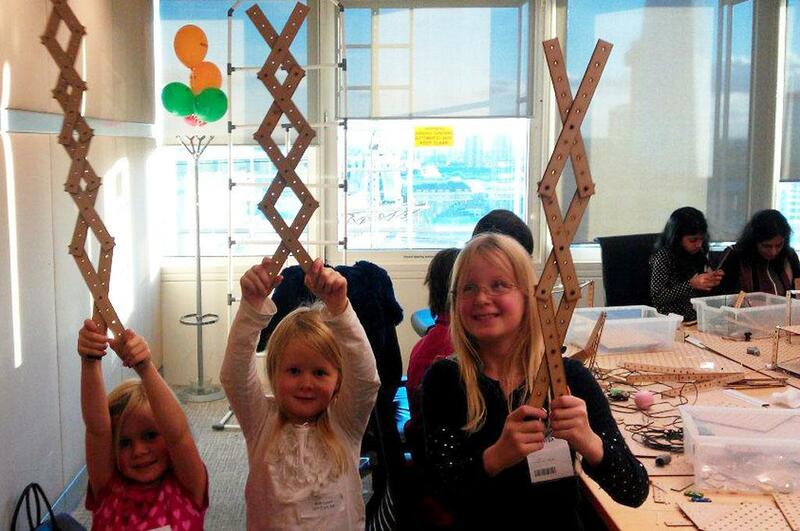 We had a great day today at Accenture, running some workshops for their "Bring Your Child to Work" day. We ran three workshops simultaneously; a version of our "Steady Hand" game (pictured), a UV torch workshop, and a session building crazy contraptions using our construction kit that we've been developing. All of the workshops went down well and were busy. Thanks to Jess for stepping in at the last moment to run the UV workshop!